All legends have a beginning. This one starts with a little filly. 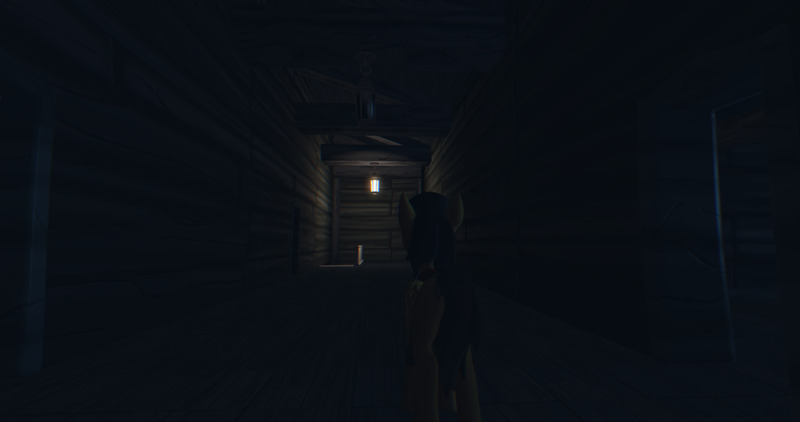 Daring Do: Origins is a 3D action-adventure game, with several hybrid features from other genres. The game is still in early progress, and it should be the first chapter of a bigger series of spin-off fangames revolving around Daring Do's adventures. It is definitely an ambitious project, isn't it? First off, let me post some screenshots. 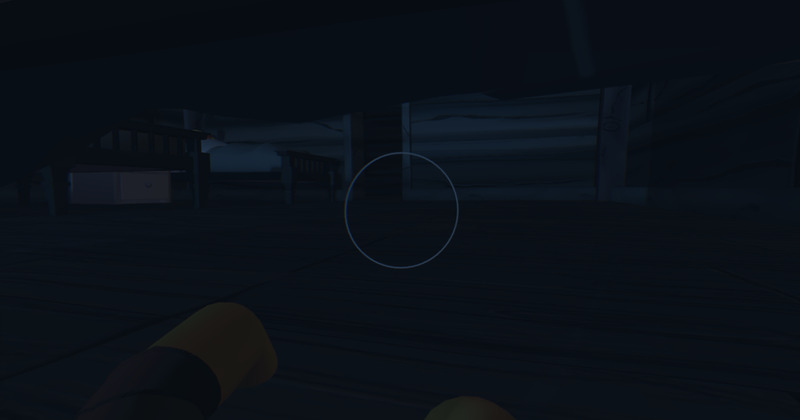 The game is being made on Blender Game Engine. Its gameplay should be considered a mix of many genres. Sometimes it can be a platformer, sometimes a beat 'em up, a stealth game or even a puzzle game, depending on the situation. The game should be plot driven, but each level should be big enough to favor exploration. Also, depending on the plot, sometimes the player might have the possibility to play also other characters than Daring Do. It is quite old, and many of the bugs seen have already been fixed. Daring Do's mobility is being improved too, as I want to feature a parkour-like smart movement system. Anyways, more progress and stuff will be coming soon. I might add a small .exe for anyone willing to test the game when I will be done with a couple things I am still working on. Also, I post big progress quite often on twitter. It isn't often that I see games made with Blender's own engine and that alone is quite interesting, but so far what you have here is really impressive and ambitious. The gameplay looks solid, the animations superb and the grafixs look great! I'm looking forward to trying out the test build you mentioned, as the game features a lot of parkour and platforming it might be good to get some feedback on that early on to make sure everything feels comfortable for players. (02-13-2017, 05:47 AM)mlpfimguy Wrote: It isn't often that I see games made with Blender's own engine and that alone is quite interesting, but so far what you have here is really impressive and ambitious. The gameplay looks solid, the animations superb and the grafixs look great! I'm looking forward to trying out the test build you mentioned, as the game features a lot of parkour and platforming it might be good to get some feedback on that early on to make sure everything feels comfortable for players. Thank you! Soon I will post a test build with a test map. I wish you all the best, it looks decent so far. You might want to consider giving it a different name and OC though and then release some kind of mod/asset pack later that involves a rename to the current name and the daring do model. Otherwise if you get any real press, even on EQG you might see some negative action from a certain entity we all know well. Tangentially it would be pretty awesome to see some fanfics done in this. (02-14-2017, 05:17 AM)Stormy Wrote: I wish you all the best, it looks decent so far. Sadly I know, which is why I think I should avoid press and stuff but rather spread the game from the underground. Being a game that tries to stay as canon as it can be, not being able to use Daring Do as main character would take a huge toll on it. Would I still risk a C&D even if this game is fully non profit? (02-14-2017, 05:31 AM)Pasta! Wrote: Sadly I know, which is why I think I should avoid press and stuff but rather spread the game from the underground. Being a game that tries to stay as canon as it can be, not being able to use Daring Do as main character would take a huge toll on it. Fighting is Magic was only LOCAL multiplayer that I know of. That's really no different than single-player at some level and MLP: Online wasn't even a complete single-player game and afaik the multiplayer didn't even work yet. I'm not sure why LoE hasn't received any C&D honestly or if they have, why they don't care. Certainly it's not widely and publicly available in a playable form, but still... FoE (Overmare Studios) is probably mostly un-C&D'able because it's an alternate Equestria that is clearly not the canon one. It diverges in S2-is canon and the world only vaguely resembles the show and is largely free of canon characters either in name or in presence. On top of that it mixes with Fallout and all the characters are basically OCs. There's simply no way you could mistake it for having more than a passing connection to the show. TL;DR Consider not using the name 'Daring Do' especially Hasbro might someday make game(s) around or about her and that there is an actual book series in print. The route of waiting until the game is complete to really talk about it is a good one, because ceasing and desisting programming/creation is easy when the game is already complete and it's really hard to stop P2P sharing of stuff. Perhaps you might write the story for the game as a fanfic and make some fun art to go with... Giving it a different name and using an OC (another pegasus pony with different coloring and name who might have a compass like cutie mark) will help to keep you off the radar. What you do is up to you and I'm not saying you should let that stop you, just that you should be aware if it. I'm just saying better safe than sorry; The more progress is made and the more attention something gets the more likely it is that Hasbro will see/hear of it and react disproportionately to protect their IP/trademarks/copyright/etc. My understanding is that part of the reason MLP:FiM even exists is because they didn't adequately protect their rights for the previous iteration and so had a hard time keeping a lid on the knockoff market since they couldn't keep others from making an exact copy of their toys, saying it was X character and making loads of money off Hasbro (or it's employees) creative work. Of course it' possible that I misunderstood. In any case it's good design to make the game more general and not rely on someone else's IP alone to draw interest or create the core of the game. Ultimately this a game about some pony P whose early life was full of excitement and adventure. P doesn't (shouldn't?) have to be Daring Do for the game to be fun and make sense. In that case she and Equestria are sort of flavoring of the game if you will, a sort of nod to the fandom. Keeping that aspect separate from the game makes it far less likely that this will be shot down and potentially creates plausible deniability if a 'modified' version of the game (or distinct assets) shows up (preferably from a second source). If you truly run afoul of legal and IP, non-profit is not an excuse or exemption for using their IP. Obviously I'm not a lawyer, but I have heard the same thing from other people with a bit more experience and knowledge than I.
Tangentially what canon aspects do you find essential to the concept? Welp, I've heard that Hasbro was quite liberal on fanwork, and that C&D was used only when a fanwork turns into some sort of not-so-legit business by the creator. Am I wrong? Well, let's say that Celestia and Luna, Discord, S1E1 and E2, Equestria, the mare in the moon, the prophecies, the Mane Six and the elements of Harmony... Anything that happened before Season 1 is in some sort of timeline, and every event affects the latter in some way or another. Let's say it's like if MLP:FiM was not being told from the eyes of the Mane 6, but from another point of view, which is Daring Do's. Plus, would it still work if theoretically I get a C&D and then start doing the game+mod thing? I mean, how far can I go with the risk? (02-14-2017, 02:56 PM)Pasta! Wrote: Plus, would it still work if theoretically I get a C&D and then start doing the game+mod thing? I mean, how far can I go with the risk? (02-14-2017, 02:56 PM)Pasta! Wrote: Ps. Bella la firma! Afaik FiM had something more behind, which was the reason of the C&D, but idk. Like, using show vectors i think or stuff but i may be wrong.